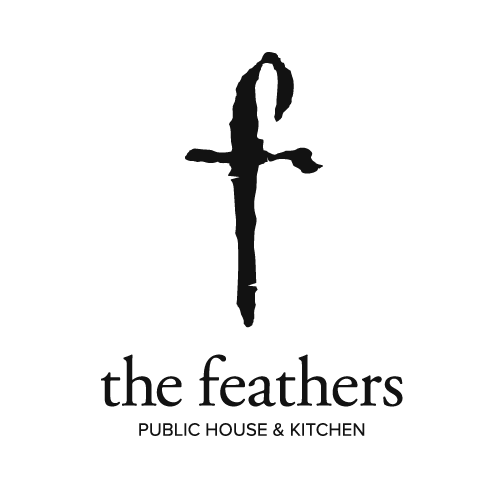 The Feathers Public House and Kitchen is a big point of difference in a small community. The history of this building is a journey in itself, having been many loved homes and businesses throughout the five hundred years or so she’s been standing. It is now a thriving old-world pub which prides itself on its atmosphere, fine wines and beers. Dining with us is a superb experience with food freshly prepared by our in-house chefs accompanied by full and friendly table service throughout. We would love you to bring the family and enjoy lunch with us at The Feathers. Our Little Feathered Friends menu is available until 7pm every day and our full menu is available all day every day until 10pm. Please note we are over 21s from 8pm. We look forward to looking after you. Cheers! Great service. We were made to feel very welcome. Not great having to park at back ....when you lady on your own having to walk in dark down some dark road is not good.!!!!! The food was amazing that we ordered for the baby shower! So delicious! The venue is amazing and the staff are so so helpful and friendly. Im glad you all had a good time with us. Im glad we were helpful. I had a lovely time at The Feathers, especially because the service was super friendly (as always). I celebrated my birthday with a few friends, so we were seated in a very cosy, slightly hidden corner of the pub, which I liked a lot! Good food, great service, lovely atmosphere, and I got balloons. Definitely recommend, even though it's not exactly cheap. Im glad we looked after you ad we made your birthday special. Im sure we will see you soon. Had a great lunch at The Feathers in a relaxed atmosphere. Good food, some nice wines (on fine wine Wednesday) and really friendly service. Im glad we are creating an enjoyable atmosphere for you. Another great trip to the Feathers we just love our family lunches in this wonderful pub. Menu is great and the staff are just brilliant. Nothing is to much trouble for them. May it long continue. Thank you for you review. Glad you had another great time with us. Really enjoyed this pub, really cosy but not crammed in and the roast dinner was lovely, with proper crispy roast potatoes. The staff were polite and helpful, all in all had a great time here. Cant beat a nice crisp roast pot. It was so lovely! Perfect for my mums birthday thank you! We were taken care of very well. Glad you had a great time with us. Superb! Great service and food. Im sure you will be back. Great pub. Lots of atmosphere, though it gets very busy. Food is good, though the drinks are over priced. It was incredibly busy and service was very stretched! Thank you for understanding. Suns out pub garden goes crazy. A great place to eat and drink. Im sorry your time with us was not an enjoyable one. All feed back gratefully received and fed back to those concerned. Again Daniel Im truly sorry. Im glad your time with us was amazing. You made the Wing look beautiful. No doubt I will see you soon. It was our wedding anniversary and we took my sister and her husband to the Feathers - they don't live locally. W were all very impressed - the food was very good and service lovely. Thak you. Im glad the team looked after you. The food was excellent but there where issues with the service. We asked for a table for 6 including a high chair. We got five chairs and no high chair. Also two children where sitting with us there was no menus given for them we had to ask. We where asked a lot while just deciding what we wanted. Then we had nobody come to the table and had stop a waiter to serve us and again to provide desserts for the kids. Im sorry the service was very hit and miss. Definitely not the feathers way. Glad you had a nice time with us. We used the meeting room, it was perfect for our needs and were supplied with ample teas, coffee's and biscuits etc. Glad the Wing was perfect for you. Under Vicky, the Feathers has always been a characterful and friendly public house but a while ago lost its identity a little, focusing too much on being a trendy drinking venue. The food slipped due to this. However with a redesigned, more simple and  focused menu, good service and great beers, it has become a great local eatery again. A good gastro pub and still a good place to hang out at night. Only feedback would be to perhaps add a side more “premium” wine list. Would recommend again! Very informative for other readers. Would love to hear some suggestions on wine. We aim to please with all peoples needs. We love all our customers.